When you think of queer South Africa, you might think of the Mr. Gay World competition or the queer men of Cape Town. 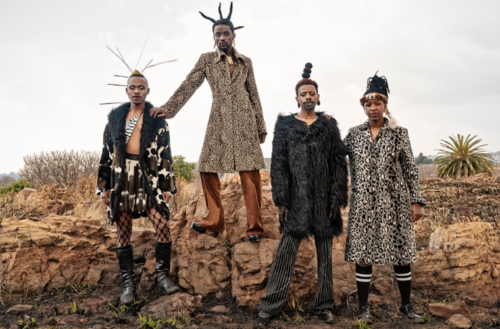 But the black culture and politics site Afropunk recently posted some excellent shots from photographer Jamal Nxedlana showing South Africa queer fashion and style in a way we’ve never seen before — their fashion and hair styling would gag children on any runway. Nxedlana serves as the creative director of the “cultural intelligence agency” Bubblegum Club. In his series, “Turn Up The Volume and Queer The Dancefloor,” he photographs local black queer musicians and DJs in fierce clothing and hair. You can check out their Soundcloud links. Most people know South Africa as a post-colonial hodgepodge that renounced its system of racist apartheid in 1994. It’s also known as the place that jailed and subsequently elected civil rights leader Nelson Mandela as its president. But fewer people realize that South Africa also serves a beacon of sorts for queer Africans, offering a wide swatch of LGBTQ rights largely absent from the rest of the continent. The country is also multiethnic, claiming a 50% mixed-race population alongside a 30% black and 20% white citizenry. But even though many LGBTQ Africans come to South Africa from the 34 continental countries where homosexuality is criminalized, it’s a mistake to think that any one experience or set of characteristics can encapsulate the diverse queerness or blackness in South Africa. South Africa still has growing to do: Racism, poverty and inequality remain a problem there (as in the U.S.) and trans identity is still classified as a mental illness there, even though trans people have the legal right to change their gender. Ex-gay conversion therapy is also still legal there. But Nxedlana’s shots show that there’s plenty of queer creativity and spirit to bring the present country into a more accepting future. 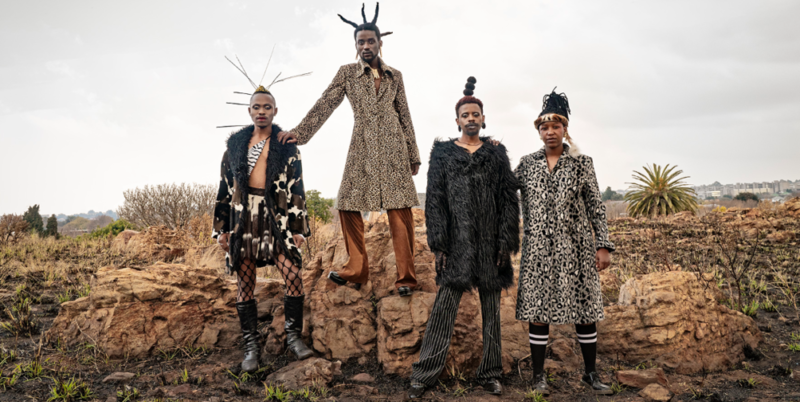 What do you think about Nxedlana’s shots of South Africa queer fashion?